One night in 2017, Leslie Williams saw a post on Facebook about a meeting later that evening at Gardendale City Hall. Gardendale, a predominately white city in Alabama, had put forward a proposal to split from the Jefferson County School District, which enrolls a student body that is majority black and Latino. 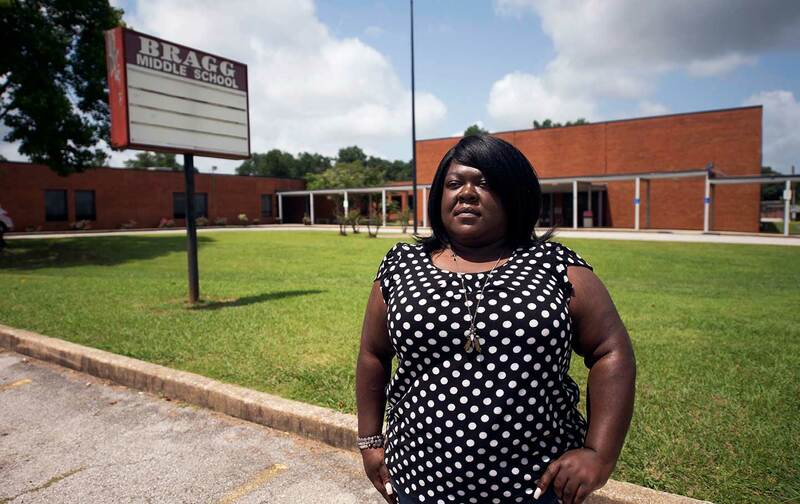 If Gardendale’s plan were successful, Williams—who’d graduated from Gardendale High School and always dreamed of sending her three kids there—would instead be forced to enroll them in lower-performing schools farther from her home. This story about school-district secession was produced by The Hechinger Report, a nonprofit, independent news organization focused on inequality and innovation in education. Sign up for the Hechinger newsletter. Two years ago, The Hechinger Report and The Nation published an investigation of Gardendale’s efforts to secede from Jefferson County to form a whiter, wealthier school district that excluded diverse neighborhoods like the one where Williams lived. Now, a new report from EdBuild, a nonprofit that advocates for equitable school funding, shows just how common school-secession efforts have become. Between 2000 and 2016, 63 communities split off from their existing school districts to form new ones. In just the last two years, 10 more communities have followed. Most of the new districts are more affluent, and less racially diverse, than those they left behind. Another 16 communities are actively exploring efforts to form their own school districts, according to the report. This form of educational gerrymandering has proven to be a winning strategy to concentrate property-tax dollars and hoard educational opportunities. And it leaves those districts that have been abandoned with fewer dollars to serve an even needier student body. Rebecca Sibilia, EdBuild’s CEO, cites a few reasons for the accelerating school-breakaway movement. In racially diverse parts of the country like Alabama, the desire of white parents to move their children into whiter, wealthier schools has been the driving factor, she said. But the report also documents similar efforts in virtually all-white parts of the country, where well-off districts flee larger, poorer ones. For example, Maine is home to the majority of the 10 new school secessions. In that state, a 2007 law incentivized school districts to merge as a way to save money amid declining student enrollment. Originally, school districts would be hit with financial penalties if they didn’t consolidate, but shortly after taking office in 2011, Republican Governor Paul LePage signed a bill repealing those penalties. Since then, Maine districts have been breaking away from larger districts, with eight communities seceding in just the last two years. On average, these new districts are wealthier than the ones they left. Elsewhere in the country, mega-rich communities have tried to secede from the merely wealthy, as is the case in Los Angeles County, California, where Malibu has proposed splitting from Santa Monica. Nationwide, nearly half of education spending comes from local sources, mostly in the form of property taxes. Often, so-called “good” school districts enjoy some of the highest property tax revenue-to-student ratios in the country. For instance, Newton, Massachusetts, which is home to roughly 90,000 residents and has 13,000 children enrolled in its public schools, collects more property tax revenue than Detroit, which enrolls far more students. Newton’s schools are among the best-regarded in the country, whereas Detroit schools often struggle just to provide students with a safe and healthy learning environment. Meanwhile, some states are making it easier for communities to do just that. In total, 30 states have laws permitting towns and neighborhoods to form their own school districts, and in recent years, some have gone a few steps further. In December 2018, Indiana’s State Board of Education released a memo reinterpreting existing laws to streamline the state’s onerous school secession process. That same year, lawmakers in North Carolina passed a bill allowing four affluent suburban communities outside Charlotte to start charter schools that would be open only to their residents. Lawmakers also approved a bill giving municipalities the ability to restrict some of their property tax revenue to the schools in their city limits instead of spending it on the larger countywide school district that currently serves these communities. Taken together, these laws could result in the creation of four new, predominately white and affluent charter school districts operating outside the diverse Charlotte-Mecklenburg school district. Indeed, there is little to stop most communities from seceding. Last year, a federal appeals court in Atlanta ruled that Gardendale could not form its own school district. The judges cited a lower court finding that the attempted split was racially motivated, which placed Gardendale in violation of a federal school desegregation order stemming from the 1954 Brown v. Board of Education decision. (Leaders of the Gardendale secession movement deny that their proposal was racially motivated.) The desegregation order is still in place in that part of Alabama. It was a big win, Sibilia acknowledges. But Gardendale is one of just a handful of communities still under the federal desegregation order. In most of the country—where no court order applies—the secession movement continues unchecked. Correction: This story has been updated to reflect a change made by EdBuild to its analysis of a secession effort in Malibu, California. That secession process is ongoing. Emmanuel FeltonEmmanuel Felton is a staff writer at The Hechinger Report.